Marquette is surrounded by water inland lakes, Lake Superior, and an endless number of rivers. There is something for everyone. 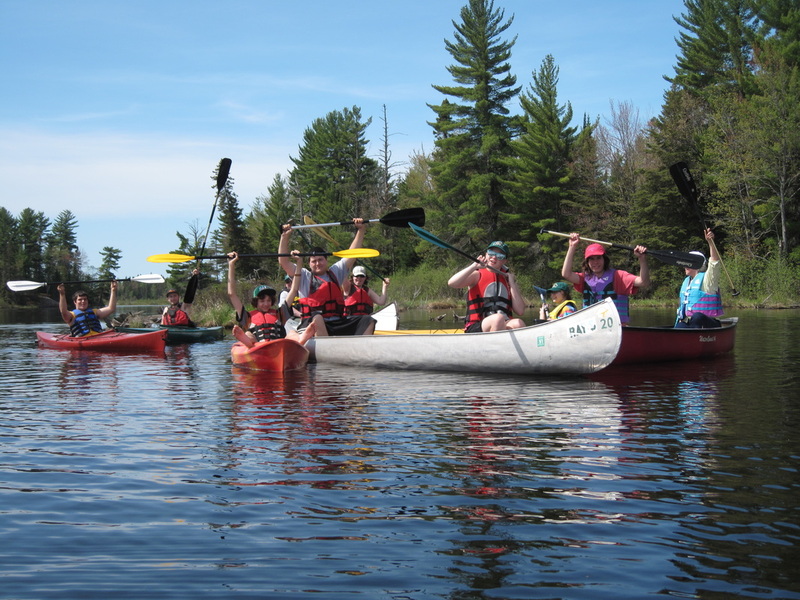 Canoes, kayaks, and one tandem kayak are available for $25 each(includes transportation/paddle/PDF). Children ages 12 and younger are not permitted in Kayaks(and to be honest - Kayak and canoe rides get boring to kids within 30 minutes). 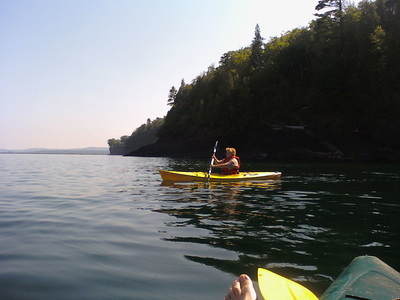 We do have river kayaks so paddling the big lake is only possible on "calm" days. 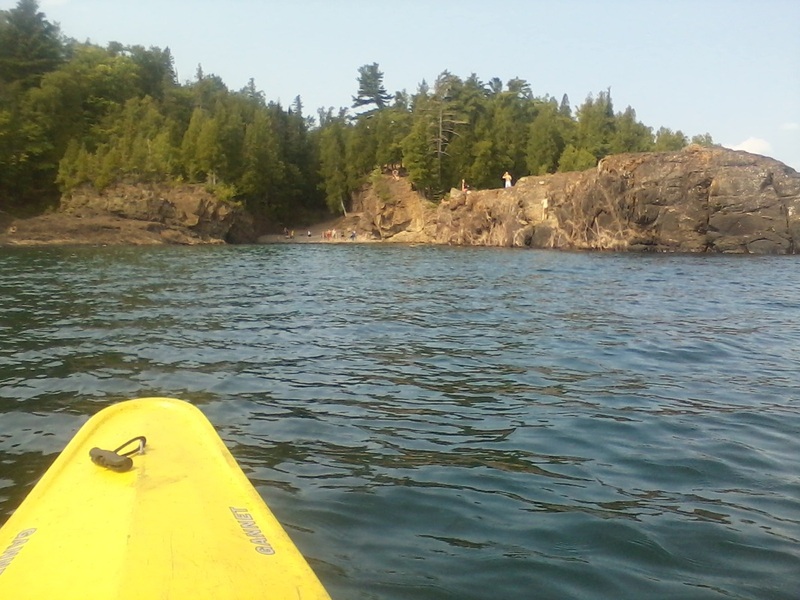 About 35 min from Marquette, the Autrain River meanders for 2-4 hours (depending on paddle speed and take out spot) through the sandy back-lands of Lake Superior. Pines, cedar swamps, sandy beaches, picnic stops, and usually a wide variety of water fowl, turtles, and toads. Very easy and relaxing – almost like a lazy river but through beautiful wilderness. Only 10 min from Marquette with an easy access. 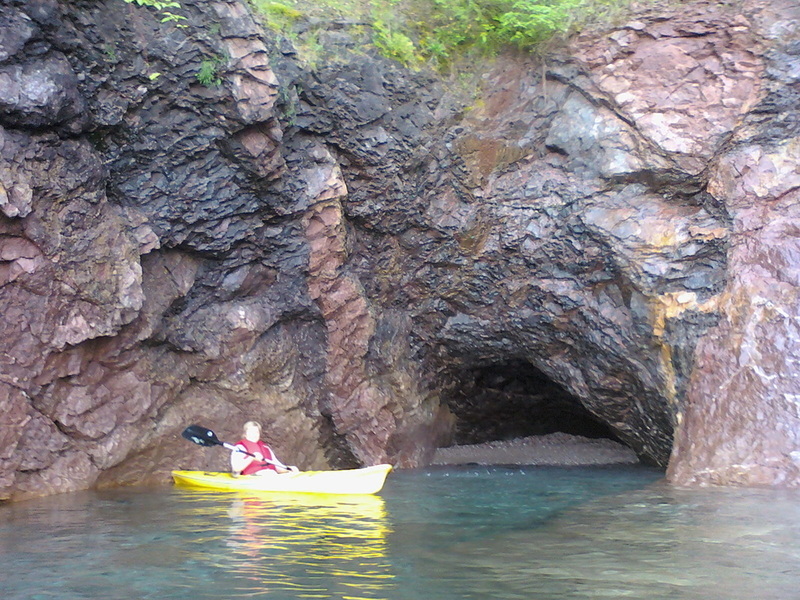 This is a one hour tour goes down the headwaters of Chocolay River where it meets Lake Superior, very easy and relaxed. One can take out at the Bayou or one can continue paddling along the shore line of lake Superior into Marquette and take out at Founders Landing (about an additional 2 hours depending on paddles speed). This is a very pretty trip along the river with lots of water fowl and then entering the majestic Lake Superior waters looking at an endless horizon and toward the city of Marquette nestled in the green hills (Lake Superior extension will only be on good water days only/decisions made by tour guide). Access about 35 min from Marquette along Escanaba River Middle Branch. There are three versions of this trip taking between 90 min and 4-5 hours (or longer). One can paddle this beautiful dammed up river surrounded by forest and lots of bluffs and little islands as long/short as one wants – maybe trailing some fishing lines – or one can continue up river going into a narrow, winding wilderness area up to the waterfalls. The waterfalls and rapids are a perfect place for a picnic, taking a dip in the water, or doing some fishing...and afterward a relaxing paddle back down river. For the long up-river trip some endurance is required; however, this is not a difficult trip. Located right on the outskirts of Marquette City. This allows for easy access to easy paddling for about 60 – 90 minutes. The lake surrounded by bluffs and forest, lots of waterfowl, and some side arms to explore – through a fishing line if you like. Access on the West side of Presque Isle on sandy beach (great for a little dip in the water before or after paddling). This is about a 2 hour trip hugging the shore line of the island while looking at the open water. Many great bluffs, cliffs and little caves – pristine, clear blue or green water where you can see every rock and pebble even at 30 feet deep. Paddling around the harbors break-wall landing at the yacht harbor right next to the ore dock loading up the great iron ore boats. ALERT! THIS TRIP WILL BE ONLY OFFERED ON VERY CALM DAYS – MOSTLY IN THE EARLY MORNING HOURS OR AFTER 7 PM WHEN THE WINDS ARE CALM! (Decision up to tour guide).